ISLAMABAD/LAHORE: Power supply in several cities in Punjab and Khyber Pakhtunkhwa (KP) was gradually restored following a massive breakdown that caused the national grid to suffer a shortfall of 4,000 megawatts, resulting in power outages across Punjab and KP since Wednesday morning. According to the initial report, the 500 kV transmission line Guddu 747-Raheem Yar Khan tripped at 09:28 am and at the same time, 500 kV Guddu-DG Khan transmission line also tripped. As a result, the load increased on 500 kV Guddu-Muzaffargarh transmission line from 733 MW/ 72 MVAR to 1559 MW/ 717 MVAR as recorded at 500 kV Muzaffargarh end. This line also tripped at resulting in under frequency on a system within 5 seconds. Resultantly, under frequency schemes came in action and frequency again improved, WAPDA said. “Meanwhile, some other power stations also tripped perhaps due to frequency fluctuation/ jerk and cascade tripping started in the northern part from Guddu to Peshawar. The system went under partial failure from Guddu to Peshawar when frequency decayed down,” the statement said. “The Southern part of the country from Guddu onward, however, remained normal during the entire day which includes Sindh and Balochistan areas,” it said. As soon as the partial supply failure was reported, the National Transmission and Despatch Company’s (NTDC) ground teams were immediately mobilized to check the high transmission lines. Power Division also notified an enquiry committee headed by Additional Secretary Waseem Mukhtar to ascertain the causes of tripping, the process of restoration and suggestions for system to avoid such incident in the future. The additional secretary will be assisted by three experts as member of the committee. Clarifying on the reports that electricity demand had surpassed the supply, the power regulator clarified that before the tripping occurred, the system was having surplus electricity as compared to the demand, therefore, the temporary load shedding was purely associated with system fault. Earlier reports stated that the breakdown occurred when the Tarbela, Mangla and Ghazi Barotha (GB) power plants tripped, apparently due to technical faults in the main transmission line. It was reported by the power plant officials that the sudden blackout had affected various cities, including Lahore, Multan and Bahawalpur. Moreover, in KP, it had affected cities like Peshawar, Swat and Lakki Marwat. Other cities including Vehari, Sahiwal, Rahim Yar Khan, Kasur and Faisalabad were also deprived of electric power, while some parts of KP experienced a 10-minute breakdown. Around noon, the Power Division stated that electricity was completely restored in Multan and 80 per cent of Islamabad, with reparation work underway. The division’s spokesperson added that the Ghazi-Barotha hydel plant was also back online. Later, there were reports of intermittent electricity in Peshawar but none in Lahore. The blackout also disturbed the proceedings of Punjab Assembly, with opposition members protesting against the government for its failure to fix the country’s power system. The breakdown also affected the operations at the already-troubled New Islamabad International Airport. According to reports, the offices of airlines, baggage handling and the Airport Security Force base camp, among other areas, were devoid of power. The loss of power also caused misery for patients and attendants at Rawalpindi’s Benazir Bhutto Hospital, with the public hospital’s generators also failing to give a backup supply of electricity. While addressing the National Assembly on Wednesday, Power Minister Awais Leghari said that the situation was under control in Islamabad. However, it will take a couple of hours before the power system is fully restored, he added. The minister said that the inquiry report into the breakdown, headed by the division’s additional secretary, will be completed by Wednesday evening. Furthermore, Power Division secretary along with the required teams reached the site to fix the fault. The secretary was present at the National Power Control Centre to monitor the situation closely. No proper timeline, however, had been given as to when the repairs were expected to finish from his end. A spokesperson of the Atomic Energy Commission said that the tripping of lines from the Tarbela plant caused all four Chashma Nuclear Power Plants to trip as well. It was also reported that the present energy demand of the country was around 20,000 megawatts. On the other hand, Minister for Parliamentary Affairs Sheikh Aftab Ahmed had pointed out that there were plans to add 50,000 megawatts of electricity to the system by 2025. About the power outages in Karachi, the minister said the situation had improved following the intervention of the prime minister. 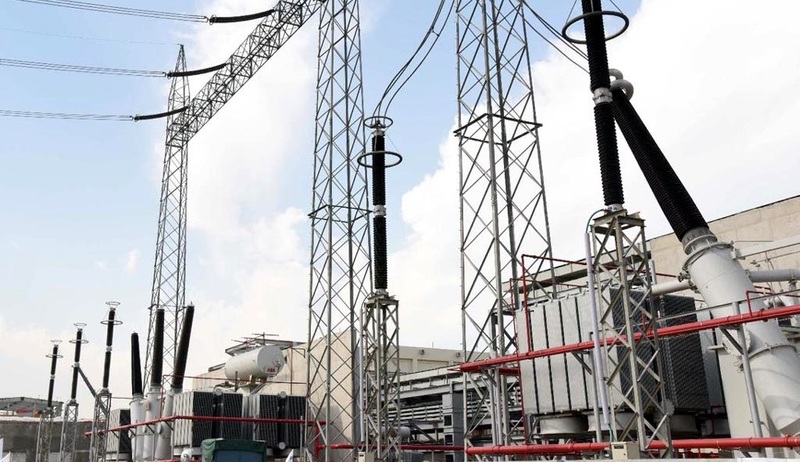 In terms of restoration of power, the Power Divison official stated that the National Transmission and Despatch Company’s (NTDC) 500KVA main transmission line had developed some faults due to which five distribution companies (Discos) in the north had been disturbed. According to reports, 60-70 per cent of electricity was restored in the capital by the Islamabad Electric Supply Company (Iesco). However, following this restoration, Mangla was energised and suspended again. The official said that Ghazi Barotha had been synchronised and connected to the national grid. Leader of the Opposition in the Senate Sherry Rehman expressed grave concerns over power breakdown in the country. She said that half of the country went into darkness due to power breakdown but before it, the other half was already without electricity. She demanded an investigation into the recent power breakdown. “The government had promised to end load shedding but has been unable to fulfil its promise and now in the extreme heat, power breakdown is the sign of the failure of the government,” she said.